This group contains over three million people, all of whom have plenty of college education but very little income, according to a study published in the journal Asian Social Science. They live crammed into tiny quarters, often with only 10 square meters of space per person, the study reports. Members of the “ant tribe” in Beijing support themselves on an average of just 2200 yuan ($359) per month, the study authors estimate. The majority of those surveyed considered 5 yuan ($0.82) too much to spend on a meal. The “ant tribe” started appearing in 2005 and is now growing by 200,000 or 300,000 people each year, the study authors wrote. They added that many of these young people are malnourished or suffer from fatigue, and they frequently change jobs. The “ant” population in Beijing has reached over 160,000, a new report has stated according to China Radio International, a state mouthpiece. 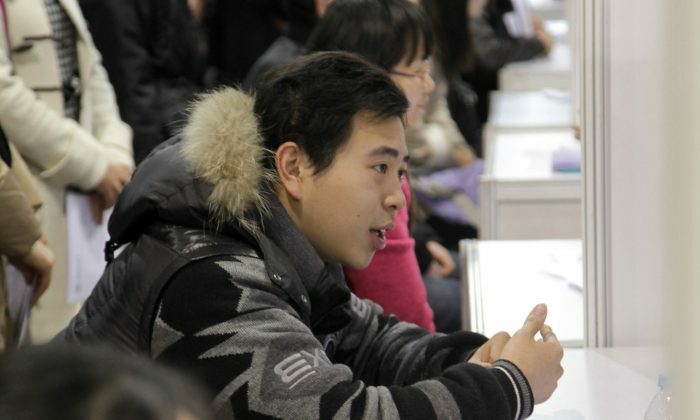 “The ant tribe illustrates a drastic mismatch between China’s educated youth and its economic boom,” wrote Winston Wenyan Ma, a World Economic Forum blogger. “This mismatch partly came from China’s existing economic model, which is heavy on trade (import/export) and investment (infrastructure) yet slow to produce white-collar jobs,” Ma added. Those in the “ant tribe” come largely from rural areas. The Chinese regime’s one-child policy often means that an entire family depends on the success of a single child. Many rural parents manage to save enough money to send their child to a university, but the children often do not end up earning a great deal. Human Rights Watch and four other human rights groups called for China to release over a dozen jailed anti-corruption activists.